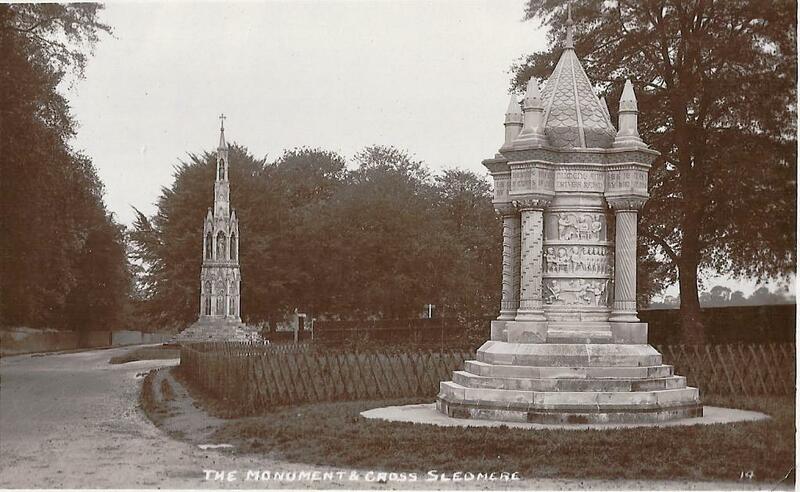 Sir Tatton Sykes had the cross erected in 1895 as a memorial to his wife, Jessica. 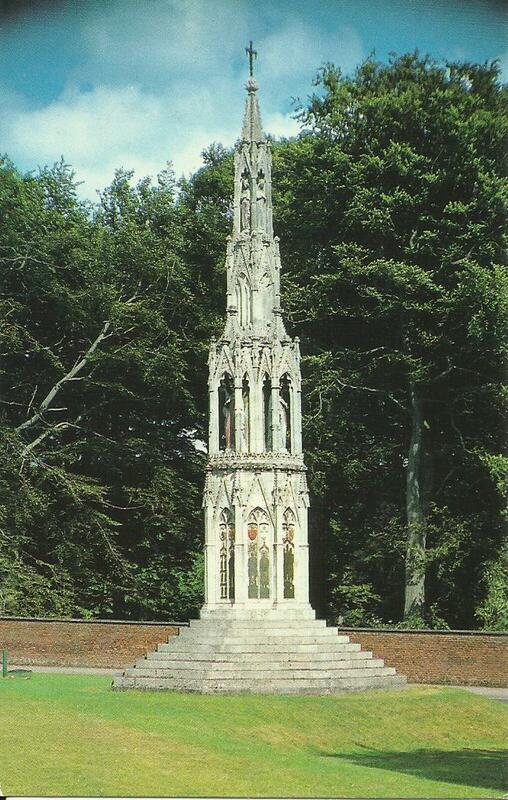 It is a reproduction of the Eleanor Cross at Hardington, Northampton, which was one of twelve crosses erected to mark the resting places of the cortège of Queen Eleanor, between Harby, Lincoln, and London. Eleanor, the wife of Edward I, died in 1290. Sir Tatton, 4th baronet erected the Tuscan Rotunda in 1840 in memory of his father, Christopher, 2nd baronet. The rotunda was the village well. The Waggoners' Memorial was designed by Sir Mark Sykes who also raised the corps of Yorkshire Wold Men who were among the first volunteers to serve overseas in 1914. The scenes around the Portland stone columns were sculpted by Carlo Magnoni and A. Barr, the estate mason, built the plinth and columns. The building is made of recycled masonry and new stone and was built in 2006. 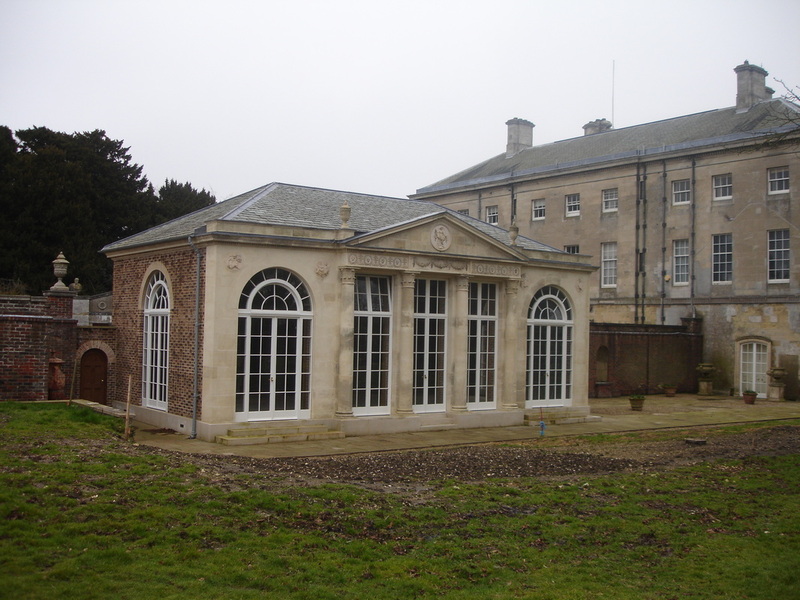 The stable block and carriage house at Sledmere were built in 1757 and enlarged in 1777 for Sir Christopher Sykes 2nd Baronet. 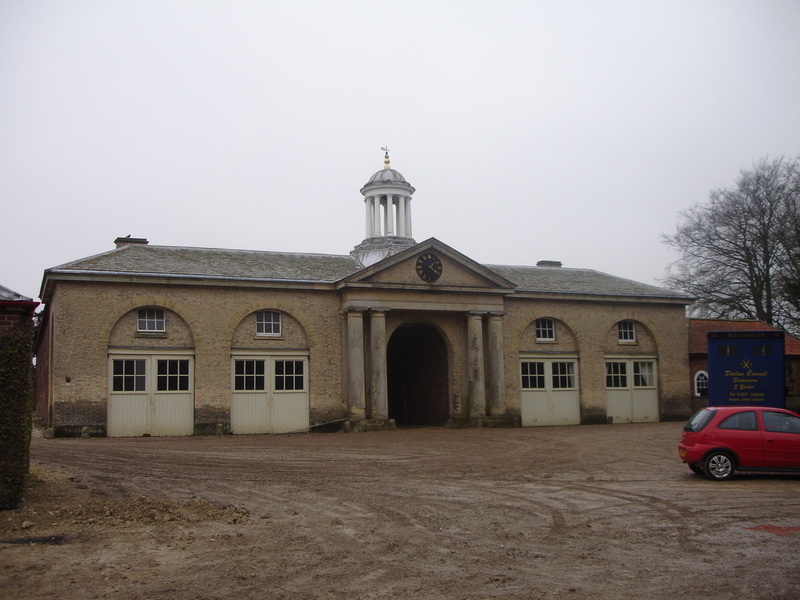 The Sledmere Stud was founded in 1801 by Sir Mark Masterman Sykes 3rd Baronet, and became Britain's most successful commercial stud.